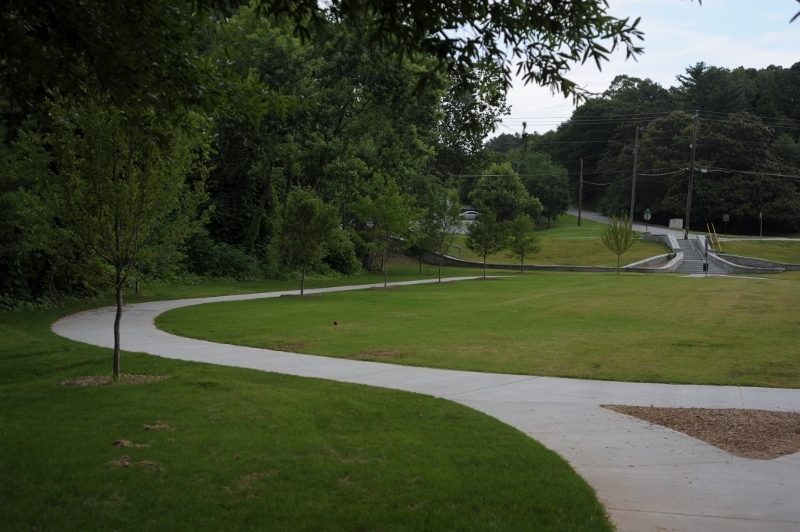 The newly renovated Georgian Hills Park, nestled among the houses on Georgian Drive, is the definition of a neighborhood park. 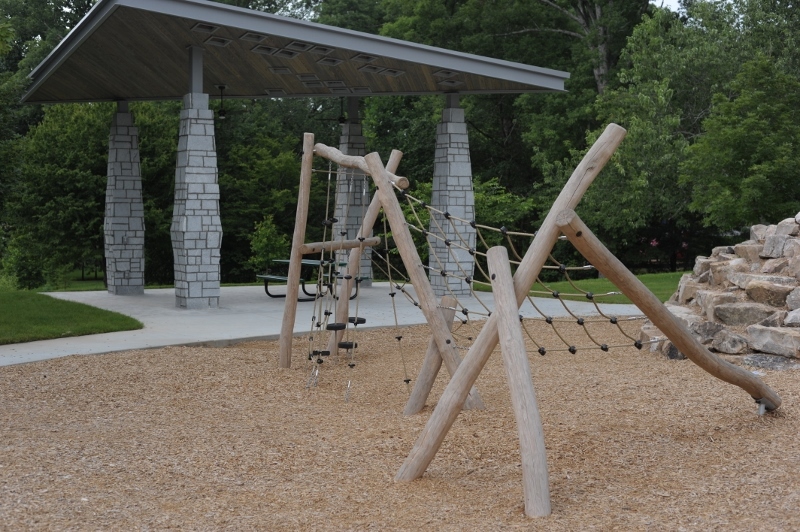 This park is a favorite for residents of Ashford Park and surrounding neighborhoods who can walk to it. 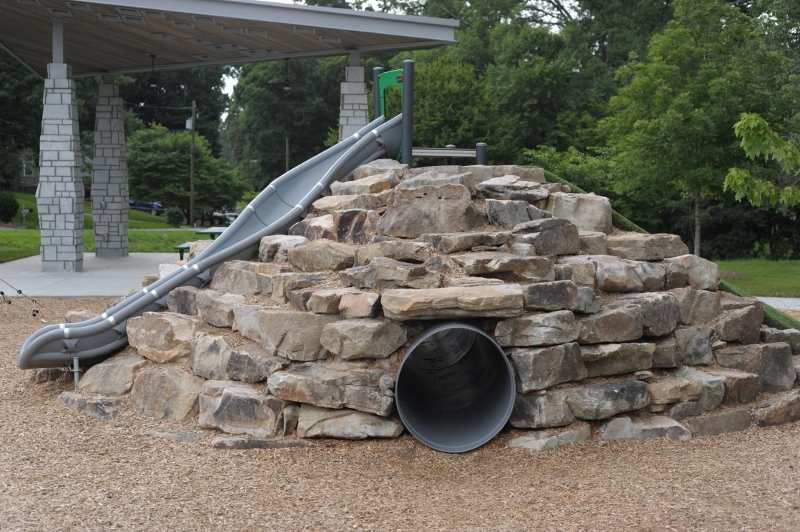 The park houses two playgrounds with slides, tunnels, a rope jungle gym, and hammocks to play on. Want to have a picnic? There are several covered and uncovered areas with tables that would make a wonderful spot. Like scenery? The park has a creek that runs through it, complete with a foot bridge. Enjoy shooting hoops? A basketball court sits under several shady trees. 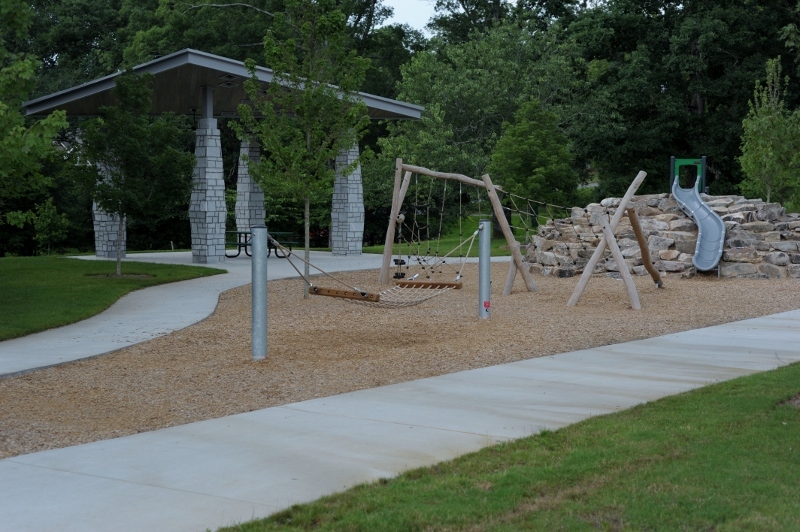 A large open grassy area with a paved path around it is a new feature of the park – the perfect spot to walk your dog, kick a ball, or just run around. The city is still working on improvements to the park, including another covered picnic pavilion. 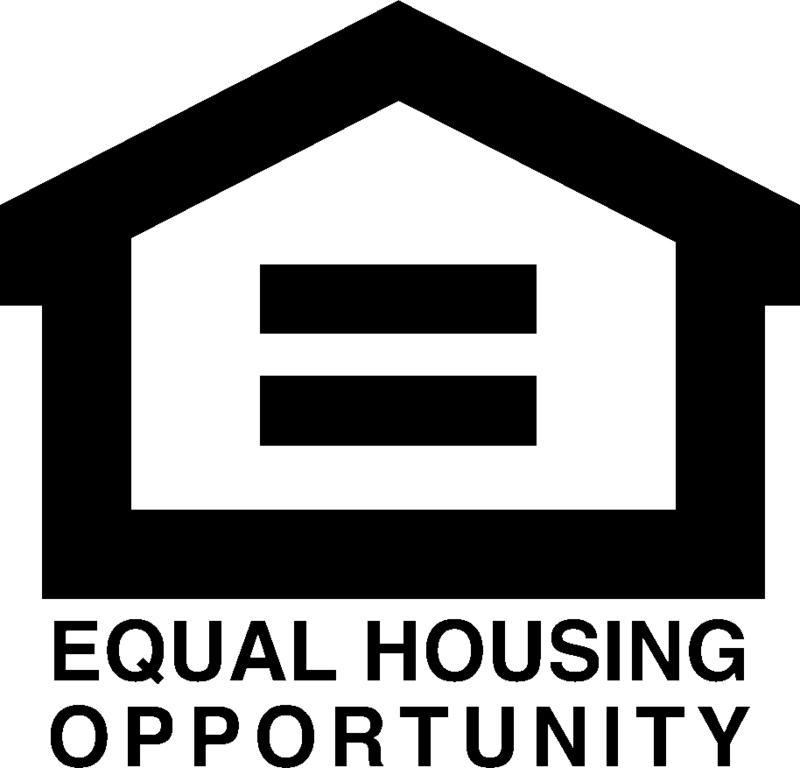 Stay tuned to see what else this wonderful neighborhood park has in store!